He also speculated that the U.S. government could target JSS/JBP’s servers in a “cruise missile” attack. 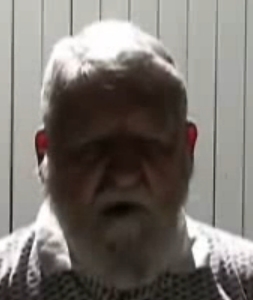 Mann is believed to be in his eighties and, at a minimum, to be sympathetic to the “sovereign citizens” movement. At the time of this post, ClickPaid is showcasing a ProfitClicking-like launch-countdown timer on its website. 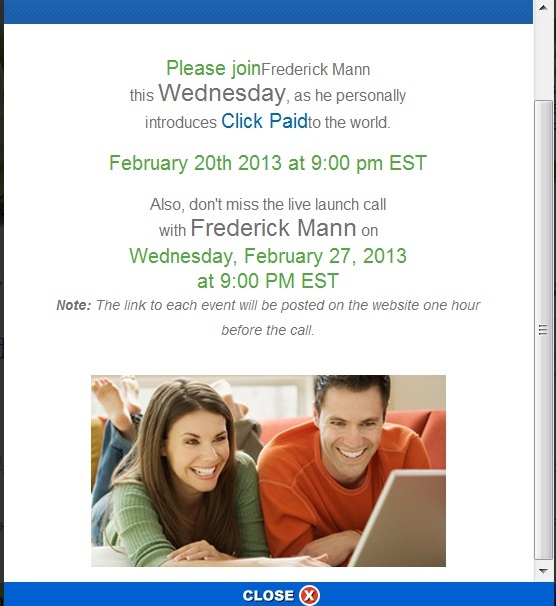 Visitors are invited to listen to a “World Wide Pre Launch Live Broadcast Call with Frederick Mann” tomorrow. A tab/subtab on the website styled “MEDIA/Upcoming Events” claims Mann will “personally” introduce “Click Paidto [sic] the world” tomorrow and will be featured on “the live launch call” Feb. 27. I can tell you one thing… I am gonna stay far, far, away from that. I not even gonna visit the site! I won’t let the same thieves steal my monies. Continue to monitor them Patrick. Patrick, someone on one of the Ponzi boards pointed out that if you watch the bottom of the Citrix Webinar Viewer when the interviewer “Jackie Valentine” gives Frederick Mann the mic, the VOX identifier displays that “J. J. Ulrich” is speaking. shipdit: Patrick, someone on one of the Ponzi boards pointed out that if you watch the bottom of the Citrix Webinar Viewer when the interviewer “Jackie Valentine” gives Frederick Mann the mic, the VOX identifier displays that “J. J. Ulrich” is speaking. It appears as though you are correct, SD. Screen shot. Forgive me, but I gotta take a few minutes to projectile-vomit. Quick note: The YouTube link posted above by SD appears to be the ClickPaid cheerleading site of Bea Quesenberry. Bea previously was a member of the MPB Today “Powerteam.” That, of course, was before MPB Today operator Gary Calhoun was charged with racketeering. Frederick Mann has made it a habit of pulling the same con. He pretends to have developed an “indefinitely sustainable” moneymaking program, then? when enough people get in, he supposedly “sells the company” to another group of people, and then the new people shut down the program, blaming computer or management problems, and without issuing refunds. No doubt “Mann” and his cohorts then split and pocket everyone’s money. Mann appears to be gearing up to run the same scam all over again, with the new scam called ClickPaid. No disrespect intended but anyone who puts money into PC or CP is playing a fools game. You have to think about this logically. Who in their right mind would buy jbp even though it was starting to have some major problems. Then when PC finally got launched…nobody could really do anything for about a month. After that withdrawals was very few and inbetween as the bucket system was difficult. Then we went through the months of nothing being paid at all. Then here comes Mann with a new and exciting program!!! PC now is paying 3% PER DAY. That is 1% more than what the couldn’t pay before!!! No, I am not playing this foolish game. I know when it is time to get out and cut losses. The problem is that the people who already made a substantial amount of money. Are willing to throw their down line to the sharks at the expense of earning more and more money. I mean look at this Alby guy….He sent a newsletter basically saying he was moving on from these types of programs. And getting into legit businesses. PC announces this premium crap and he hops on it and tries to string his downline into putting money into it. MOST OF THE MEMBERS HERE HAVE SUCH A BIG DOWN LINE THET THEY DON’T EVEN HAVE TO INVEST ANYTHING. ALL THEY HAVE TO DO IS WITHDRAW. 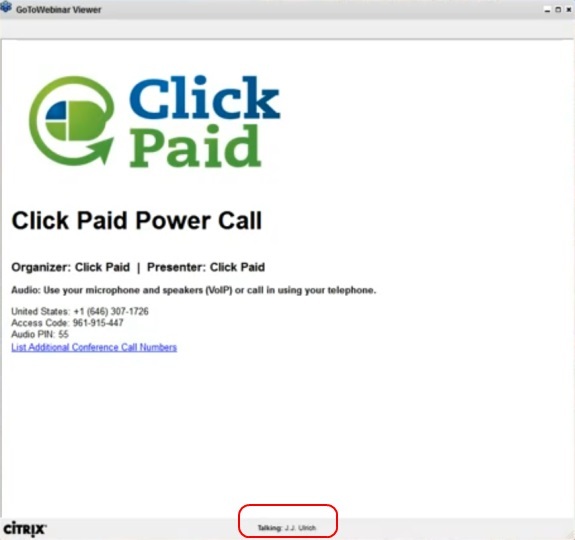 FYI – Anyone who knows anything about webinars know that the name listed on the bottom of the screen does identify the host/account but does not confirm if that person is actually talking unless there is video. admin: It appears as though you are correct, SD. Screen shot. PC promoters call people who are against pc mob whiners, maybe but pc and company are the no.1 online thieves, offering again 3% for premiums.